Happy Wednesday, everyone! 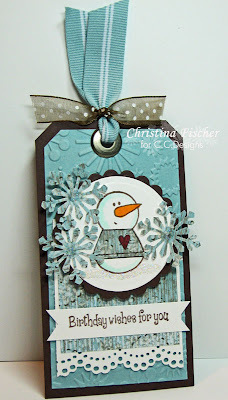 Today's ATS Wednesday Challenge is to use snowflakes. Also, you can't use "Christmasy" paper! 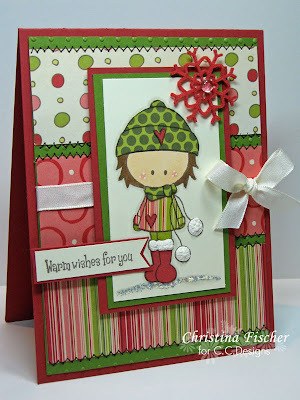 :) So many Christmas sets can be used throughout the winter for all kinds of projects! And, snowflakes just make anything feel more wintery! 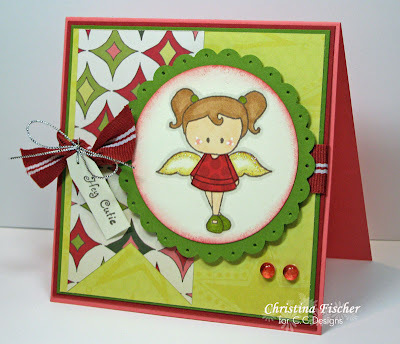 I made this first card with colors from yesterday's SCS Color Challenge. I had fun with this one! There are embossed snowflakes on the background, stamped snowflakes around the reindeer, and punched snowflakes on top! I added bling and Stickles to the punched snowflakes -- you should see them IRL! 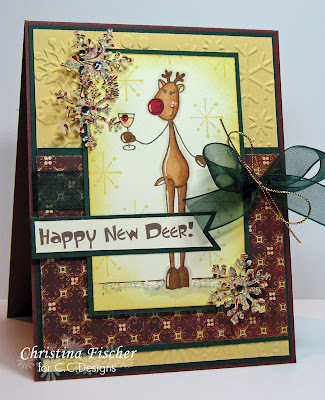 I *love* this Reindeer Games set -- the images and sentiments are just so much fun! The reindeer are available in rubber and as digi downloads. I was having so much fun with the snowflakes that I made one more! I just love this little tag! I found this piece of dp in my stash, and it coordinated perfectly with Baja Breeze and Chocolate Chip! The little snowman is from the set Winter Bear. His sweater is paper pieced with the dp. I again Cuttlebugged the background and punched snowflakes, then I added more Stickles! :) The sentiment is from Sugarplums Sentiments. This tag could be used as a gift tag, or it could be adhered to a card front. I hope you find time to play in our Snowflake Challenge! If you do, upload them to the ATS Gallery so we can see them! Design Team samples are on the ATS Blog -- be sure to check them out! We have no plans for tonight -- we'll be hanging out with our little ones here at home (our teenagers have bigger plans!). If you are celebrating the New Year somewhere else, be safe! Thank you all for being such a big part of my 2008 -- I can't tell you how much it means to me! I wish you a very blessed and prosperous 2009! Happy Tuesday, everyone! I had my pad of Sugared paper out for yesterday's project, so I used it again for this Valentine card. 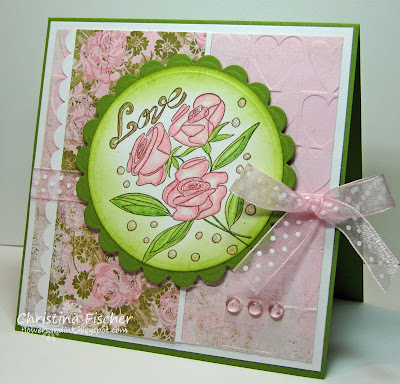 These Love Roses are from American Art Stamp. I stamped them in Momento Rich Cocoa ink and colored with Prismacolor Pencils. It's hard to tell in the photo, but I added Stardust Stickles to the bubbles and to the flower centers. I was pleased with how well the image coordinated with the paper -- it has a romantic look to it, don't you think? This doesn't have to be for Valentine's Day -- it would be perfect for a wedding or anniversary, too! Thanks for the visit today -- I always appeciate it! Happy Monday, everyone! This is a really late post -- my stamping and posting time was very interrupted all day! 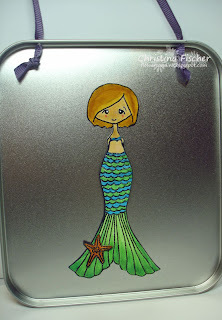 Anyway, here's my project for today's MFT Who's That Girl Monday Challenge at SCS. I used the set Hot Stuff and added some torn paper. 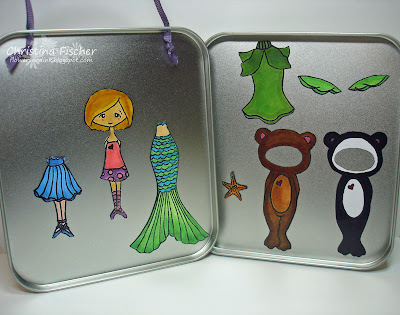 The template for this Popcorn Box was created by Michelle Giraud. It is a free download at Paper Addiction. I have lots of things in store for you this week, including previews of the January C.C. Designs stamps! I hope you'll be back to see them! Thanks for visiting today -- I'm so glad you stopped by! Hello, everyone! Happy Sunday to you! I'm doing something a little different for today's Sunday Supper post. Instead of sharing a recipe, I'm going to point you in the direction of my friend Maggie's blog. Maggie Green is a chef, dietician, cookbook editor, mom, and just about the nicest person you'd ever meet. She writes a column for a local paper, and her blog grew from there. It's called From My Kitchen Table. She shares great recipes, menus, and food facts -- you must check it out! Have a great day -- thank you so much for visiting! Don't forget to spend some time around the supper table! Today's it's back to business -- but it's all fun! At All That Scraps we're doing a review of the recently released Gingersnaps sets, Snowbunnies and Angels Everywhere. They are available in rubber and as digi downloads! For both cards, I used the Garland collection of papers by Scenic Route. I am in *love* with the colors and patterns -- they're not just for Christmas! On the first card, I started paper piecing and couldn't stop!! I pieced the jacket, scarf and hat with the paper, and I pieced the boots and hearts with SU! Riding Hood Red cardstock. I did lots of machine stitching on the paper panels. I used Liquid Applique on the pom poms and boot cuffs, and I heated it to make it puffy. On the second card, I paper pieced her dress, pierced the scallops, and sponged around the image circle. 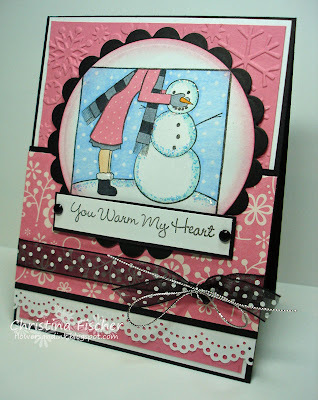 Stop by the ATS Blog today to see what the rest of the Design Team did with these adorable images! I found one more use for my Top Note die! :) I cut out the shape from Kraft paper, then I folded it in half. I stamped the images from Winter Post on the front and stamped the to/from on the inside. I sponged around the edge of the tag and attached it to the bow with gold cord. I made my own "designer wrapping paper" by stamping the snowflake onto kraft wrapping paper. I hope you all are finding some peace and quiet among all the hustle and bustle of the season. I'll be taking a couple days off to enjoy Christmas with my family, but I'll be back on Friday with some fun C.C. Designs cards! Happy Sunday to you! Today's Sunday Supper recipe can be a dessert or a yummy holiday treat. It's quick and easy but tastes like it's homemade. I took them to Anna's school Friday for the monthly teacher treats, and I had a few left over for us to eat -- they were so good! The recipe came from a Gooseberry Patch book. Stir together cake mix, pumpkin, eggs, oil and water in a large bowl until well blended. Beat with an electric mixer on medium speed for 2 minutes. Pour batter into greased muffin cups, filling each 3/4 full. Bake at 350 degrees F for 18 to 22 minutes or until centers test done. Cool in pans for 10 minutes; place cupcakes on wire racks to cool completely. Spread frosting over each. Makes 2 dozen. It's the 20th of the month, and that means it's Celebrate MFT Day at My Favorite Things. If you have MFT stamps, get 'em inky! And, if you can, use the MFT colors of pink, black and white. Here's my card, made with Baby It's Cold Outside. It has to be one of my favorite MFT sets ever! I paper pieced her coat and colored the rest of the image with Copics. I added Stickles to the snowman and ground, and I used a white gel pen to make the snow in the sky. I sponged around the edge of the circle with Regal Rose ink. 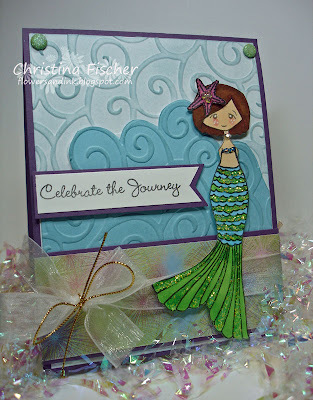 The background was embossed with my Cuttlebug and Snowflakes folder. A quick post today -- I just wanted to share the treats I made for Caroline's preschool class. 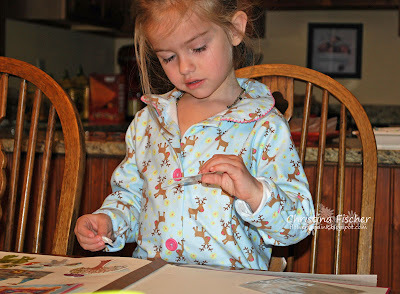 Easy and relatively quick, with no embellishments -- after all, they are for four-year-olds! I had some more fun with the Top Note die! I used the SU! hostess set Deer Friends and last year's Dasher paper (I'm so glad I hoarded it!). The 1 3/8" Circle punch and the Scalloped Circle punch were used on the images. That's it! Now, I'm off to take her to school in the pouring rain -- let's hope these treats survive! :) Have a great day, everyone -- thanks so much for stopping by! Hi there! Happy Thursday! Here's the card I made for this week's SCS Color Challenge. I waited waaaaay too long to order Winter Post, and now I have some catching up to do! I also finally broke down and bought the Big Shot and the Top Note die -- it was a birthday present to myself! ;) You can count on seeing more of the Top Note -- I have lots of plans for it! This card is completely SU! -- I haven't done that in quite a while! I like the way this card came together. 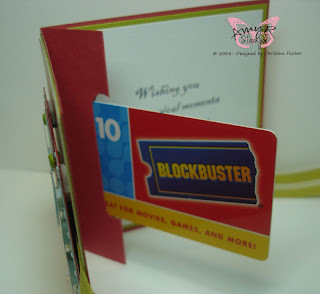 I think I might add a pocket inside to hold a gift card -- what do you think? 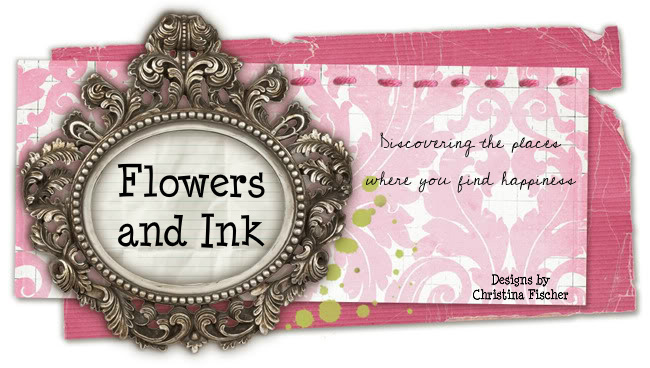 BC Dzyns Release Blog Hop! Today My Favorite Things is releasing another set by BC Dzyns, and you've come to my stop on the Release Blog Hop! If you've just come from Natalie's Blog, welcome! 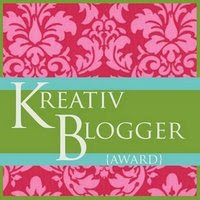 If you haven't seen all the other samples so far, you'll want to start at Kim's Blog and catch up! This Daydreamer comes with so many great sentiments for her "thoughts'"-- some serious, some sassy! It's definitely a fun set with many possibilities! Hello! Happy Tuesday! It's been a little busy around here -- Caroline's birthday was yesterday, mine is today, and there are nine more days 'til Christmas! Need I say more? Combine dry pudding with brown sugar, cinnamon and pecans. Melt margarine. Place pieces of frozen dough into a well-buttered angel food pan. Arrange the dough so that none are overlapping. Use a pan that does not have a drop out bottom. It will leak during baking. Pour melted margarine over frozen dough and sprinkle with the pudding mixture. Cover the pan loosely with plastic wrap and a kitchen towel. Leave out overnight. Dough rises by morning. Bake at 350 degrees F for 30 minutes. Let it set for 5 minutes. Invert on plate to serve. Pull apart and enjoy! 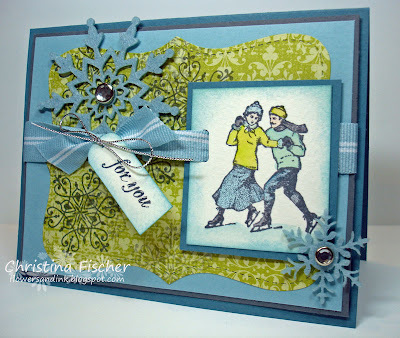 This project took me just minutes to make -- there is no stamping at all! I used my Cosmo Cricket Wonderland paper pack, some SU! cardstock, and a few embellishments, and that was it! I cut two strips of Always Artichoke cardstock and overlapped them slightly to get the correct length, then I crimped them for some texture before securing them around the candle. I cut strips of Wonderland paper and centered them over the cardstock. For the tag, I used one of the journaling cards from the paper pack, matted it on Chocolate Chip cardstock, then added a gold eyelet. I used my Martha Stewart punches to punch snowflakes from more paper, and I added some rhinestone centers. 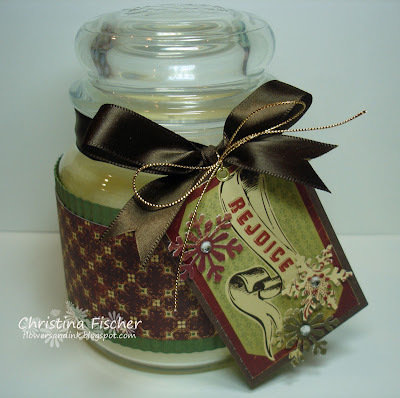 I tied chocolate satin ribbon (Offray -- purchased at Walmart) around the candle neck, and I tied the tag to the ribbon with gold cord. Pretty easy, huh? This would be a great hostess or teacher gift. It's sitting on a shelf in my home right now, and it just might stay there! :) I hope this gives you some ideas for your own quick gifts. This time of year, we need all the time-saving ideas we can get!! Thanks so much for taking the time to visit -- have a great day and a fantastic weekend! Happy Thursday! Here's the card I made for yesterday's SCS Sketch Challenge. This was a fun sketch to work with! Except for the Cuttlebug and Nestabilities, it's a SU! card. I sponged the white circles and pierced the white scalloped border. Other than that, it's pretty simple and straightforward! Happy Wednesday! 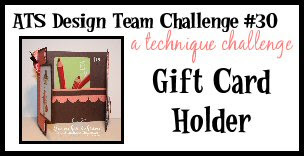 Today's ATS Challenge is to create a gift card holder. 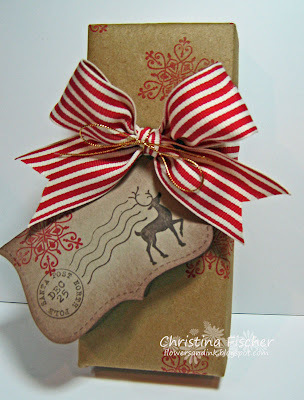 There are so many tutorials for gift card holders on Splitcoaststampers and on blogs everywhere -- you're sure to find one that fits your purpose! Or, you can create your own template -- I've done that many times before! 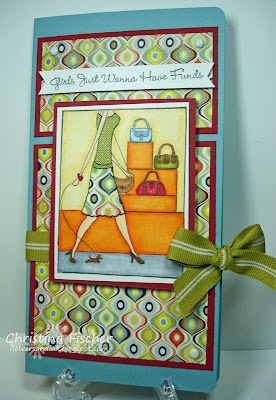 I saw a tutorial for the card I'm making on Gina K.'s Blog in THIS post. The finished size is 4.25" square. All the images, inside and out, are from AmyR Stamps. I used Build a Holiday to create the trees on the front. The paper is from the Be Merry collection by My Mind's Eye. I *love* it! I Cuttlebugged the cardstock background and added some Mica Flakes glitter (Martha Stewart) under the trees. 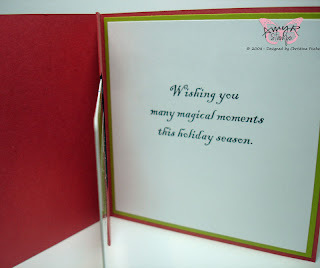 The sentiment is from Amy's Christmas Sentiments set. Here's the inside of the card. I used a SU! Word Window punch to create the opening. I punched once, then punched again on either side until the opening was the correct size. And here's the back panel. 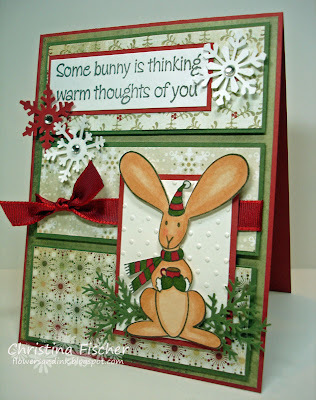 I used a stamp from Amy's Christmas Card Verses set. There is still plenty of room for a personal message! 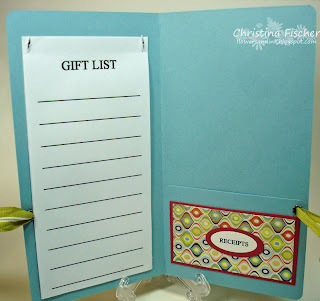 Now, it's time to make your own gift card holder! Use keyword ATSDTC30 when uploading to a gallery. Be sure to upload to the ATS Wednesday Challenge Gallery -- Christine and Amy are always looking for the next ATS Guest Designer! The ATS Blog will be updated later today with the Design Team samples for the challenge -- be sure to check it out! That's all for today! Thanks so much for the visit -- I'm so glad you stopped by! Have a great day! I inked up this Couple in Love image with Top Boss Watermark, then I heat embossed it with black detail embossing powder. I watercolored the image with an aquapainter and inks, then I sponged around the edges with Colorbox Lemon Grass ink. 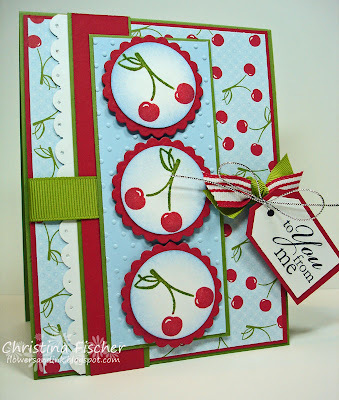 I used my Cuttlebug and Swiss Dots folder on the background cardstock. The paper is from the Loves Me collection by Imaginisce. Hi there! Happy Sunday to you! My shopping day yesterday was VERY productive! I really crossed a lot off my list -- I feel like I can breathe a little easier today! Now my job today is to get the tree decorated! I'm about a week behind on that job! Place chicken in bottom of slow cooker. Add salt & pepper. Top each breast with cheese slice. Add broth & soups. Sprinkle stuffing mix over top. Pour melted butter over all. Cover. Cook on low 6-8 hours or on high 3-4 hours. Happy Saturday -- and happy St. Nick's Day! :) Today's card is for yesterday's Limited Supplies Challenge at SCS. The "list" to follow was: it had to be a monochromatic card, only snowflake images could be used, there had to be bling somewhere on the project, and the sentiment had to be one word. It came together pretty easily, and I like the way it turned out! 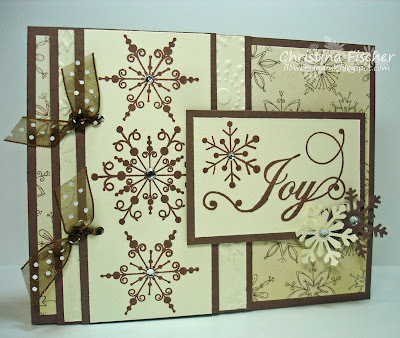 There's something I just love about brown snowflake cards! Happy Thursday, everyone! I hope you aren't tired of my MFT designs yet, because I have two more to share with you! I made these for the release party last night. 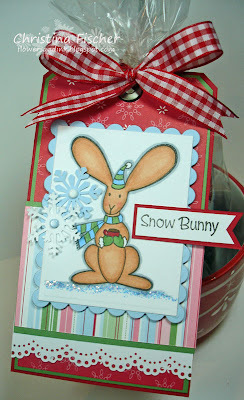 For the first card, I used Snow Bunny Flopsey with yesterday's SCS Sketch Challenge layout. 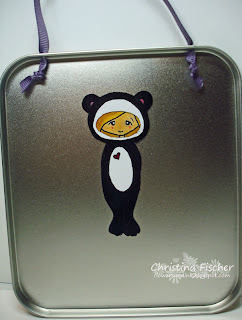 I had fun with my new Martha Stewart punches! I couldn't decide which Snowflake punch to buy, so I got all three (I know, I have issues...)! I love the Branch punch, too -- it makes such a great little accent! The BasicGrey Wassail paper and the ribbon came from Paper Addiction. Hello there! 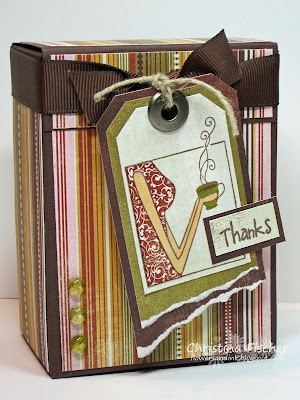 You've come to my stop on the MFT Blog Hop! If you've just come from Candice's Blog, welcome! If you haven't been to all the stops before mine, you'll want to go back and see what you've missed! To start at the beginning, go to Kim's Blog HERE. I pierced two holes in the top of the tin and knotted ribbon inside to create a little handle, so it can be carried anywhere! Since my oldest daughter's high school mascot is a panda, I had to turn the bear costume into a panda. Doesn't she look so cute? I've had so much fun with this set -- I've had fun with all the new MFT sets! Be sure to join us at the MFT Forum tonight at 9:00 pm for the release party! Hi! Happy Tuesday! 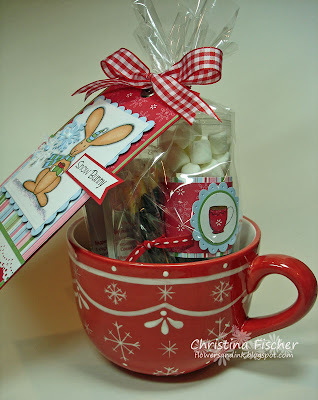 Today's MFTeaser is a BIG gift tag for a hot cocoa gift set, and I had a lot of fun making it! Snow Bunny Flopsey takes center stage on the tag. I was happy to discover that I still had some pieces of the SU! Winter Bright Simply Scrappin' Kit lying around, and they were the perfect complement to the red mug! I colored with Copics and added Stickles to the ground line. 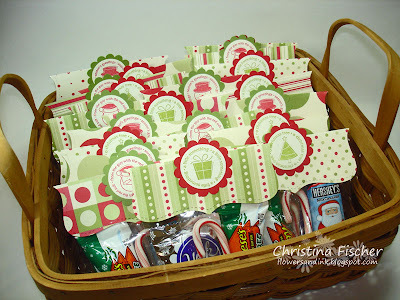 Here's the entire set -- there are cocoa packets and peppermint sticks in the mug, as well as a container layered with mini chocolate chips and marshmallows. I purchased the round container at All That Scraps. The ribbon came from Michelle and Laura at Paper Addiction. 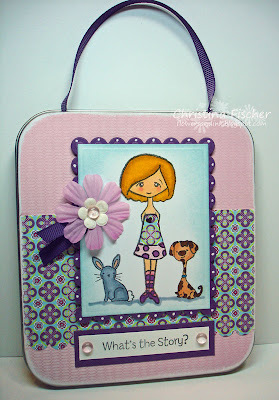 I stamped a mug image from Hot Stuff and paper pieced it to coordinate with the large mug! Now, I just have to decide to whom I'll be giving this gift! :) Tonight at midnight we'll have the MFT Blog Hop to celebrate the release of the new sets! You're guaranteed to see some eye candy! Then, come to the MFT Forum tomorrow (Wednesday) night at 9:00 pm for more MFTeasers, challenges, and fun! The new sets will be released at 10:00 pm! Hey there! Happy Monday to you! I have a MFTeaser with this Tote-ally Fantastic set , being released Wednesday night at My Favorite Things. I love this image -- isn't that tiny dog just too funny? Since this set has a shopping theme, I made another of my Shopping Organizers. For the simple directions, see my post HERE. I had a lot of fun coloring and paper piecing -- this Offbeat paper is just so great! Come to the MFT Forum Wednesday night at 9:00 pm EST for the release party, and the sets will go live at 10:00! There will be lots of chatting, fun, and challenges -- find out how YOU can be the next MFT Guest Designer! I'll have another MFTeaser for you tomorrow, and the release Blog Hop will be Wednesday, so I hope you'll be back to see more! Also, don't forget about the C.C. 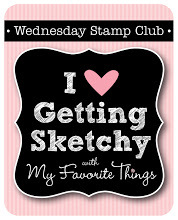 Designs and Stampin' Spot Studio releases tonight at All That Scraps! The chatting starts at 8:00 pm, and the sets will be released at 10:00!